In a bid to escalate her reach and connect with people, West Bengal Chief Minister Mamata Banerjee will be on live Facebook chat on Wednesday at 8:30PM. It seems the Trinamool Congress chief will answer questions during a half-hour session. This is for the first time she will be online to chat with the electorate. 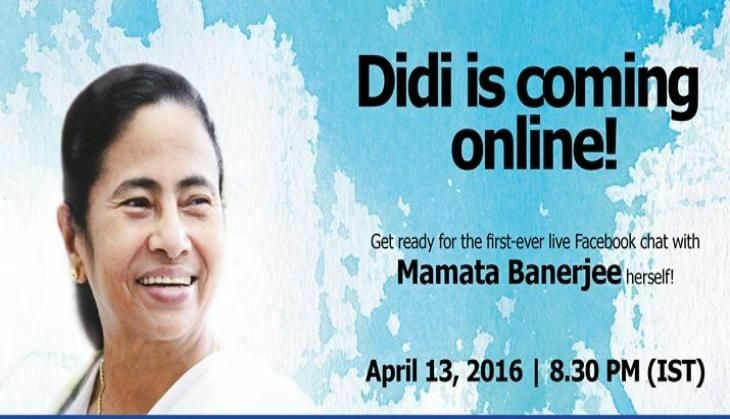 The official Facebook page of the TMC supremo has also been updated as the cover picture says 'didi is coming online' adding that 'get ready for first ever live facebook chat with Mamata Banerjee herself'.